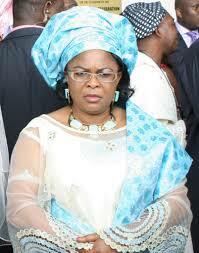 The Economic and Financial Crimes Commission has discovered an uncompleted eight-storey building in a prime area of Abuja allegedly belonging to Patience Jonathan, the wife of former President Goodluck Jonathan. The building, which has been described by the EFCC as a ‘magnificent architectural edifice,’ has not yet been valued by the commission. However, comparative analysis of similar buildings on several trading sites such as OLX.com and Jiji.ng, within the same area put the worth of the building at N6bn. A Punch correspondent, who visited the building, which is located within the Central Business District, is between the National Mosque and the Federal Secretariat. It was alleged in documents sighted by a Punch correspondent that Patience allegedly acquired the property through her foundation known as Aribawa Aurera Reach Out Foundation. The commission further stated that it had written to the Abuja Geographical Information System to get the history of the property and how and when it was bought. Anti-graft agency has also written eight banks: Skye Bank, Fidelity Bank, First Bank, Union Bank, Guaranty Trust Bank, Zenith Bank, United Bank for Africa and Unity Bank. The EFCC had a few months ago frozen an account belonging to Aribawa Aurera Reach Out Foundation with account number 1222014221 in Ecobank with a balance of N479m. 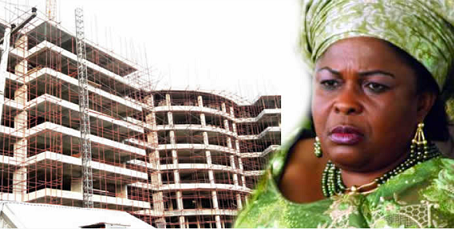 The anti-graft agency said there was no way Patience would have been able to afford such a property as her last known job was Permanent Secretary in Bayelsa State. The document read, “Plot 1350 Cadastral Zone A00 CBD which was allocated to Ariwabai Aurera Reach Out Foundation in 2010 and Certificate of Occupancy issued in 2011. The plot bears an eight-storey building still under construction. “Inference may be drawn from investigation that the suspect’s (Patience) last known official position was permanent secretary in Bayelsa State.